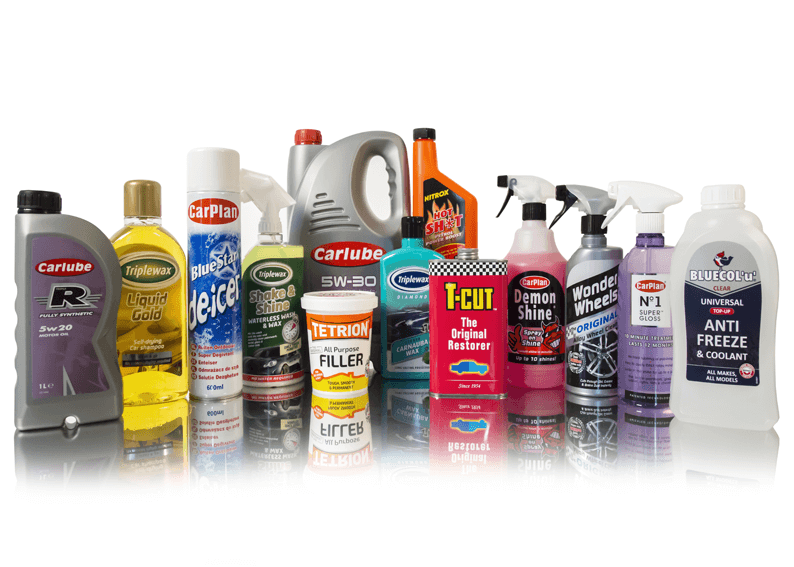 Tetrosyl is your one stop shop for automotive car care, parts and DIY products. We have everything under one roof. The philosophy of Tetrosyl for over 50 years has been to achieve affordable consistent growth using our expertise in product innovation, extensive brand building, depth of product range, coupled with heavy commitment to above and below the line advertising activity. Tetrosyl is at the sharp end of the FMCG market. To maintain this position means incorporating a vast understanding of consumer habits and ever changing trends within our environment. The group strategy is to deliver profitable growth by leveraging our strong brands in to emerging markets across the world. Tetrosyl operates a best practice regime, which means continuous improvement in batch manufacturing, automated systems, research and development and information technology. 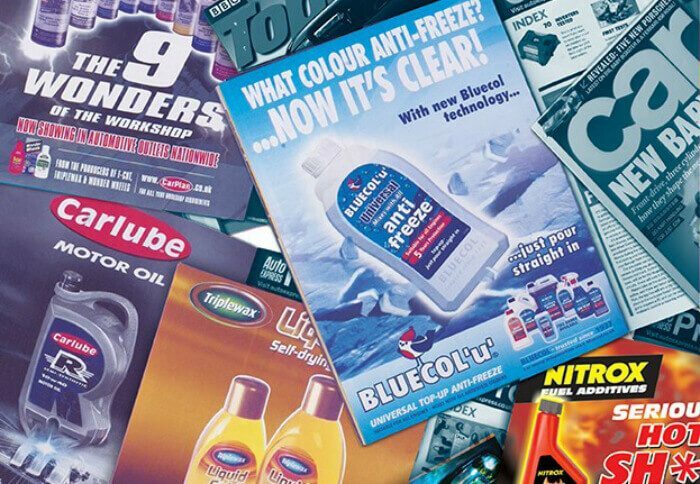 From everyday products used in the home to specialist motor trade products, our passion to branding is paramount to our business and is one of our key assets. The proactive marketing team ensure products remain fresh and relevant to suit the requirements of the market place, whilst the brand image appears prominent and consistent on shelf. Working with the technical team and sales force, new products and innovation are at the forefront of our business. Gaps in the market are identified which provides Tetrosyl new areas of opportunity and diversification into wider markets. This marketing mix maintains our No. 1 position in the market. Our values: “To succeed requires the highest standards of corporate behaviour towards our employees, consumers and the environment in which we live.” Conducting our operations with integrity and with respect for our customers, our consumers and the organisations we work with is at the heart of our corporate responsibility. Tetrosyl’s success is due to a key resource – ‘ITS PEOPLE’! In order to succeed, we believe that we must meet high standards of corporate behaviour towards all the people we work with, the community that we involve ourselves in, and on the environment which we impact. This is demonstrated not only through employment opportunities but also in developing sustainable business community partnerships. Examples include working with Bury College, MANCAT and sponsorship with Bury FC. Tetrosyl is committed to offering training and development to all employees. It is planned that the systematic range of training opportunities offered will provide employees with the necessary knowledge, skills and aptitude relevant to their work and to meet the required company’s quality and efficiency targets. The development of our employee’s skills is imperative to our business and we have actively funded employees wishing to further their knowledge with various courses. This ranges from NVQ training and Apprenticeships in order to encourage our younger employees as an investment in their development for the future, right through to sponsoring senior level employees to complete Professional Diplomas and Masters of Business Administration. (MBA). The Tetrosyl Group actively promotes and expects the application of legal, environmental, ethical and employee related standards within our businesses. In the UK, we have ISO 9001 certification for our operations and we have a high level of health and safety, quality and environmental compliances within our site. From everyday products used in the home to specialist motor trade products, our passion to branding is paramount to our business and is one of our key assets. Exceptional above and below the line advertising activity enables Tetrosyl to strengthen our brands through various media including television advertisements, bespoke television channel sponsorships, national press and popular magazine coverage, and football perimeter board advertising including the Premier and Championship leagues. CarPlan were also sponsors of the ‘International Origins’ Rugby League’ match between England and The Exiles in 2011. Tetrosyl have also sponsored the popular British television series, Wheeler Dealers for the Discovery Channel, fronted by Mike Brewer and mechanic Edd China. The premise of this show is that Brewer and China are on a mission to save repairable enthusiast vehicles, by repairing or otherwise improving a vehicle to a budget, then selling it to a new owner. CarPlan, T-Cut and Nitrox brands have all been used in association with both Sony and Universal Pictures to sponsor new release movies and DVD’s. Full page advertising in both the popular weekly and monthly car magazines, adverts in newspaper supplements, engaging in social networking on the internet are all in the Marketing Mix. This marketing mix maintains our No. 1 position in the market. The innovation of Tetrosyls products over many years with patents and unique concepts has seen the company win many awards and is Auto Express magazines all time award winning company with over 50 wins in various categories including; paint restoring, wheel and tyre cleaning, bodywork polish and shampoo to interior leather cleaning and restoring.